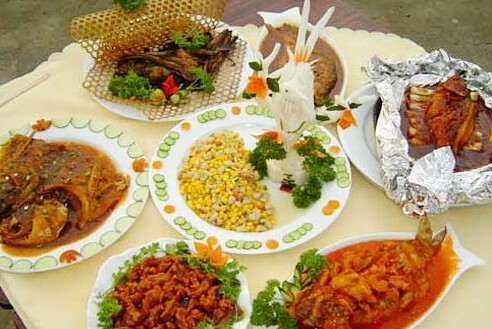 Inner Mongolian specialty cuisine, largely derived from the tradition of ethnic Mongols, consists of dairy-related products and hand-held mutton (shǒu pá yáng ròu 手扒羊肉). 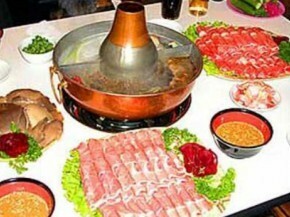 In recent years franchises based on Hot pot had sprung up from Inner Mongolia, the most famous of which is Xiaofeiyang (xiǎo féi yáng 小肥羊). Inner Mongolia is also known commercially for the brand names Yili (yī lì 伊利) and Mengniu (měng niú 蒙牛), both of which began with the production of dairy products and ice cream. Grill Whole-lamb is a kind of traditional Mongolian food, which is specially prepared when a dinner party is held in honor of the distinguished guests or a great celebration is held. The lamb, which looks golden red and tastes quite delicious, is laid on a square wooden dish. Instant-boiled mutton, also called the Mongolian Fire Pot, was created in the Yuan Dynasty. Choose mutton from the back, rear legs or tail of a killed sheep. Cut the mutton into slices. 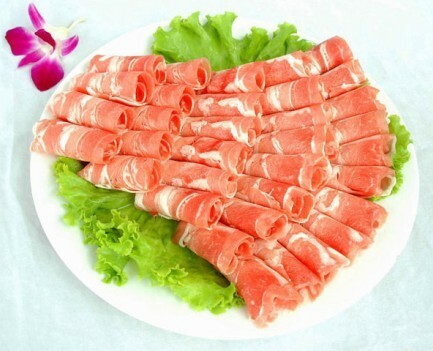 The boiled mutton is fresh and tender, not greasy. This is the delicacy which the Mongolian people like best. 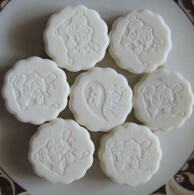 It is only prepared for the special occasions, such as offering sacrifices to gods or ancestors, holding weddings or celebrating the elder's birthday. When the dinner party begins, it is the custom for the Mongolian people to cut a piece of meat from the fat tail first and then have a taste of it. This dish is the traditional food which the Mongolian people have liked best for thousands of years. People often use their fingers to take the meat while eating. That's why the dish is called finger mutton. 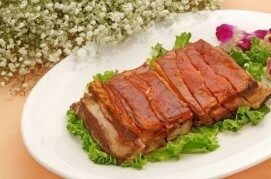 Baked Gigot is one of the traditional Inner-Mongolia cuisines. It is so famous for its delicious and the origin from the National Hero Genghis Khan’s admiration. Gash the cross on the skin, add carrot thread, shredded celery, shallot thread, ginger, tomato, pepper, sauce, refined salt and bree, then roast about for 4 hours in the oven. Its nice sculpt and fragrant taste are highly appreciated. The all-fish banquet can have 12, 14, 20, 24, or even more than 100 dishes. The main rare dishes includes Twin Dragons Playing with Pearl (èr lóng xì zhū 二龙戏珠), Home-made Coiled Crucian (jiā cháng áo jí yú 家常熬鲫鱼), Club-shaped Carp (méi huā lǐ yú 梅花鲤鱼), Oil-dipped Carp (yóu jìn lǐ yú 油浸鲤鱼), Carp with Spawn (lǐ yú shuǎi zǐ 鲤鱼甩子), Squirrel Carp (sōng shǔ lǐ yú 松鼠鲤鱼), etc. Milk tea is the traditional hot drink the Mongolian people like best. It is made by boiling the water with brick tea and fresh milk. People usually put a little salt into the milk when they drink it. Sometimes they put a little butter or stir-fried millet into the milk tea. Shaomai is a local delicacy, which has a long history in Hohhot. The visitors who come to Hohhot always have a taste of shaomai. 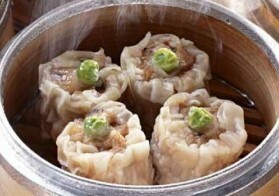 Shaomai is characteristic of unique technique, fine raw materials, nice and thin wrappers, delicious fillings and all necessary ingredients and seasoning. The hot shaomai taken just out of the steamer gives out pleasing smell. It looks like a small soft bag when it is picked up with chopsticks, and looks like a small pancake when it is placed on the plate. It is delicious in taste and pleasing in form. Naked oat flour is processed out of naked oats. The naked oats, which is a low-yield, cold-resisting and salt-alkali-resisting crop with a short mature period, contain high protein, fat and many kinds of trace elements, such as iron, calcium and phosphorus. The naked oat flour is processed in a special way. The food of various kinds can be made out of the naked oat flour. They are well received by the local people. Buckwheat flour is processed out of buckwheat. 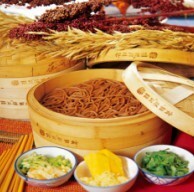 The flour can be made into noodles and some other kinds of food. Putting some mutton gravy into the noodle, people find the food quite delicious. Crème means white food in Chinese. 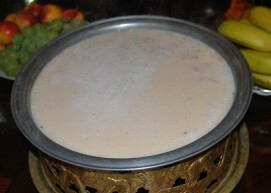 Boil the fresh milk in slow fire, after a layer of fat coagulates on the surface, stir up in chopsticks, dry hung in aeration place, then the crème is completed. 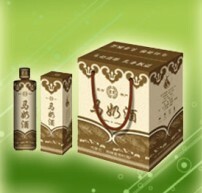 It is the distillate of the milk, sweet and aromatic, with abundant nutrition. Also called butter with white or yellow colors. Ferment the fresh milk into yoghourt, whisk, then the musby white ghee is separated. Boil the white ghee until the water is vaporized. 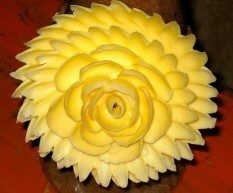 The color became into yellow, so called yellow ghee. Its fragrance is attractive. Kumiss, the traditional belly-wash of llano, has been passed down two thousands of years. The Kumiss is cool, refreshing and with lower alcoholicity, besides, it also has the function of dispelling cold, and strengthen stomach. Especially in summer, it is the best time to drink Kumiss, and the aromatic waves to everywhere.